Yatta is a daughter, Ph.D. candidate, and Liberian DED holder. DED recipients have worked hard and followed the rules while rebuilding their lives after devastating circumstances forced them to flee their country of origin. 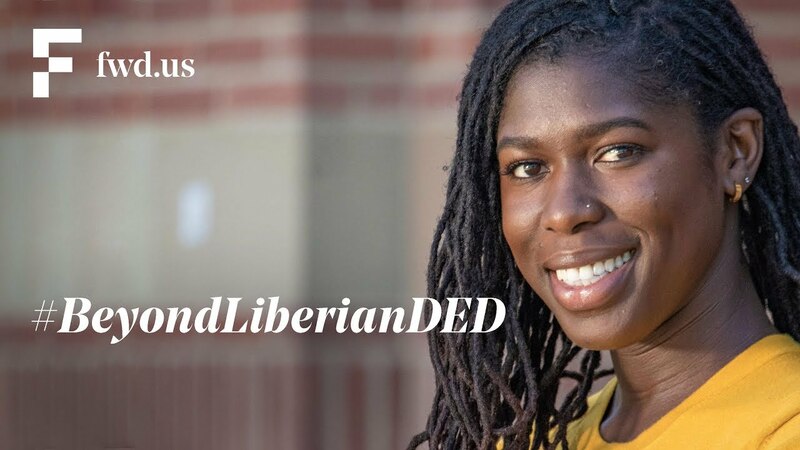 Now that President Trump terminated Deferred Enforced Departure for Liberia, families will be separated and many, like Yatta, will be sent back to countries they have never really known. On March 6, 2019, Yatta testified to the U.S. House Committee on the Judiciary. “Having to think about picking up your entire life is terrifying. Because many of us don’t know what the next step is or what that looks like.” While DED protections were set to expire on March 31, the administration extended their work authorization and protections for one more year. Yatta’s future still remains uncertain, and she may be deported to a country she has never known. She needs a permanent solution now. Yatta, and thousands of DED holders like her, deserve permanent protection from deportation. Call Congress and tell them to protect DED holders, Dreamers, and TPS holders now.